← What is Thirdhand Smoke? The respiratory system consists of the mouth, nose, trachea, throat and lung. This system has direct contact with the environment and exposure to harmful substances such as tobacco smoke and bacteria, which can cause damage to airways and reduce oxygen uptake. Besides quitting smoking and reducing exposure to harmful pollutants, a healthy diet containing the following can help to improve respiratory health! Green Tea – Tobacco smoke or exposure to pollutants can increase the risk of lung inflammation. 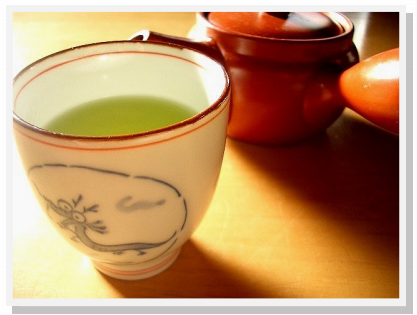 A study found that green tea drastically decreased inflammation and promoted healing in rats with damaged lungs. Vitamin A helps the body to defend against bacteria and other pathogens, which can cause infections, including lung infection. Foods with an abundance of vitamin A include carrots, sweet potatoes, dark leafy greens, lettuce, apricots, cantaloupe and bell peppers. Omega-3 fatty acid rich foods such as tuna, mackerel, salmon, sardines, flaxseed oil, almonds and peanuts have been shown to reduce asthma severity and incidence in children and adults. Vitamin C is a powerful antioxidant that protects the lungs and body from free radicals that cause infection and chronic disease. Foods high in vitamin C include blueberries , tomatoes, mangoes, limes, and strawberries. For additional health and wellness information contact a CORE Wellness Coach at (800) 932-0034 or email us today! This entry was posted in All Blogs, CORE Wellness and tagged core wellness, Health, Health & Wellness, Health and Wellness, Wellness, Wellness Programs. Bookmark the permalink.